The Omnipure K-Series K5520P-JJ inline filter features 1/4-inch quick-Connect compression fittings that allow for installation and replacement in a matter of seconds without the use of tools. The Omnipure K-Series Quick-Connect fittings are molded directly into the filter body and cap as a single unit, reducing the chance for weeping or seepage. Cap and body are spin-welded together producing a smooth, consistent seal without the use of glues or binders that can cause contamination. 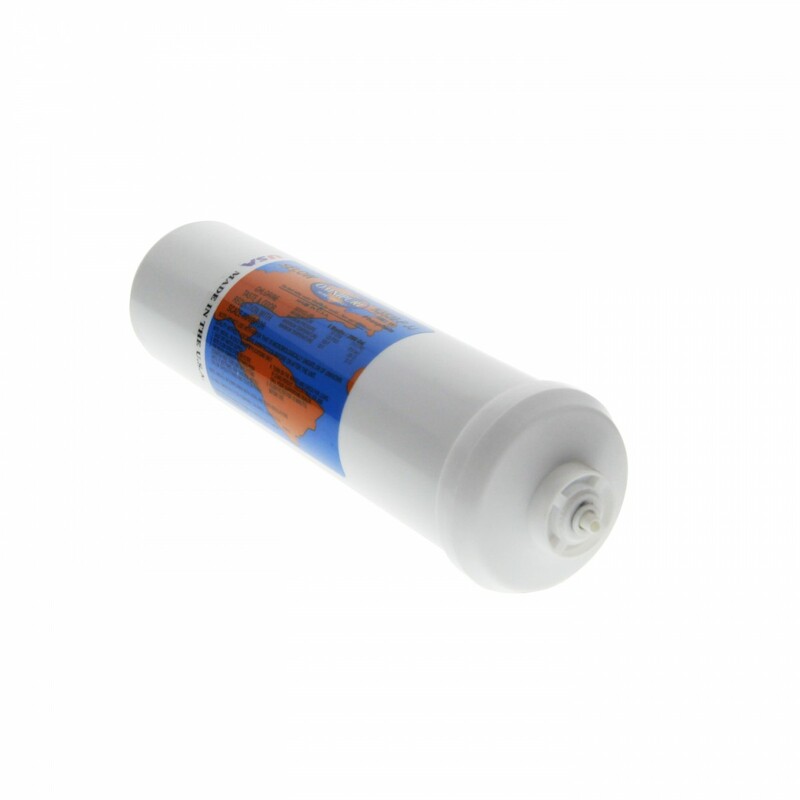 The Omnipure K5520-P-JJ is a 1 micron Carbon Block Water Filter with Phosphate Scale Inhibitor. The Omnipure K5520P-JJ water filter can be used as an RO postfilter. One of the primary uses of the K5520P-JJ Water Filter is as a system component. Systems can be designed to incorporate the various lengths and diameters--either all the same size or intermixed--to meet specific filtration needs. The Omnipure K5520P-JJ Water Filter can be used in icemakers, refrigerators, beverage equipment, drinking fountains, under the counter systems, RO Systems and in conjunction with purification systems. 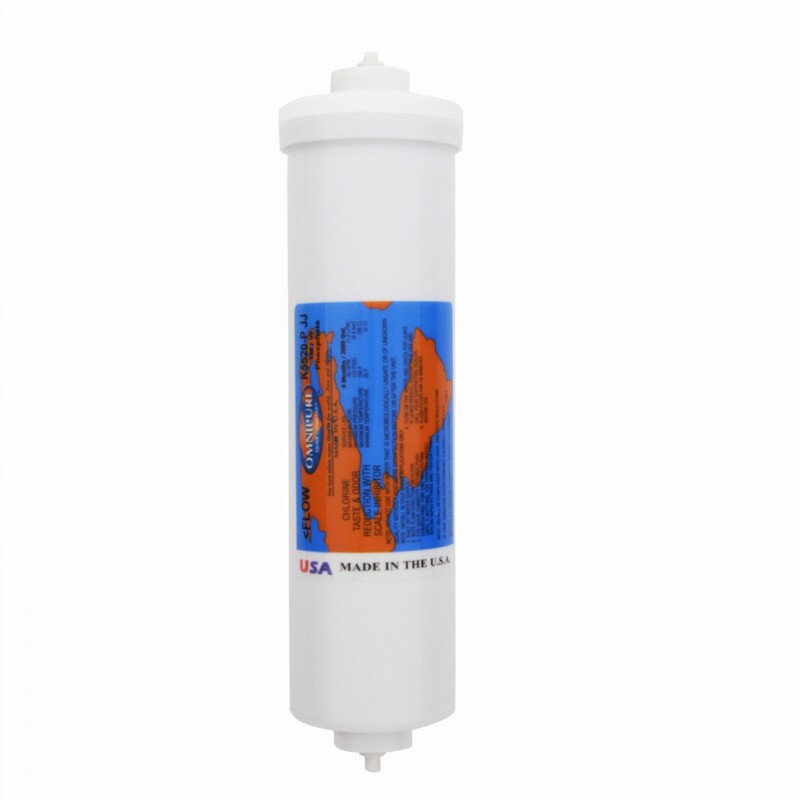 The Omnipure K5520P-JJ water filter is a 1 micron Carbon Block Water Filter with phosphate used to reduce sediment, scale, taste, odor and chlorine taste and odor.